My other (intermittent) quibble with the record is the insistently ambient, room-mic’d production style, or rather, the fact that it occasionally swallows up the details in Tyler’s accomplished and nuanced playing. Third track “Oashpe” begins with some very pretty chord changes, and these are definitely enriched by the dreamy sound… but when the guitar playing gains momentum in the pattern-picking section, it gets washed out by the ethereal production, resulting in the track feeling less urgent and less dynamic. This isn’t always the case, though, and the imposed atmosphere is a nice setting for several of the tunes: it adds some sonic distinction to a Fahey-esque composition like “Missionary Ridge”, which has Tyler searching, like so many before him, for that perfect front porch melody. Do echo chambers even have a front porch? Kidding! 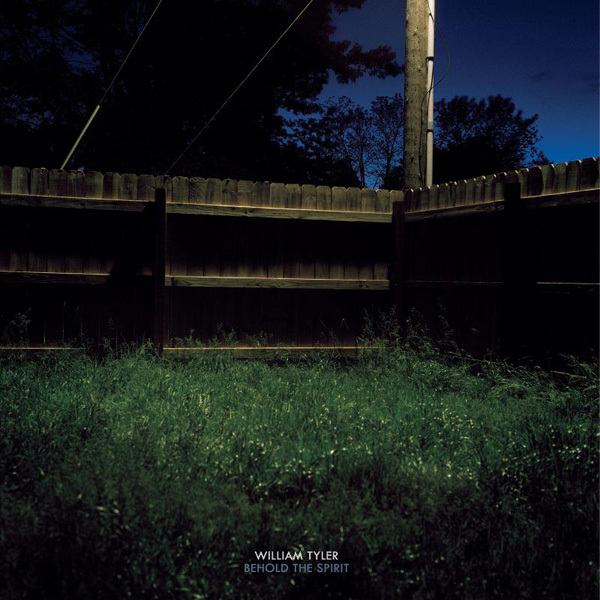 These points aside, there is a whole lot to celebrate on Behold The Spirit, and Tyler’s approach to the acoustic guitar has much more dimension than many of the Takoma revivalists of recent years. He has the usual dextrous right hand, but tempers it with a healthy variety of picking patterns and tempos. Tyler doesn’t solely deligate riffs and melody lines to the high strings, but spreads them out all over the fretboard, and his tasteful use of additional instrumentation (horns, steel guitar, field recordings and strings are peppered thoughtfully throughout the record) keeps the listening experience exciting. Opener “Terrace Of The Leper King” is a long, multi-faceted set piece, and it covers a lot of ground in its 8-plus minutes. Unlike similarly structured pieces on records by contemporaries Sean Smith and Ben Reynolds, Tyler doesn’t burn up time exploring his tuning, or resorting to typical pattern-picking and Arabesques… rather, he establishes short melodic motifs with a variety of right hand approaches, bridging them skillfully, and subtly fleshes out the arrangement with horns and strings. “Leper King” also gives us the first occurance of what I would consider Tyler’s trademark, the use of minor turns in otherwise major-leaning chord progressions. This melodic tendency brings a certain pathos to many of the tracks, an elegance that is more Nick Drake than John Fahey… and though Tyler comes back to it often, it is always used to strong effect. “The Green Pastures”, with it’s plaintive steel guitar, twinkling piano and strident drumming, plays almost like a Bryter Layter outtake, and is simply a joy to listen to. My favorite example of Tyler’s melancholic melodicism is the lovely “Ponotoc”, which sets up a simple recurring theme and then presents variations on it, sometimes with unexpected and challenging reharmonizations. Behold The Spirit is about as creative a record as I’ve heard in 2010, guitar-driven or otherwise. William Tyler is the real thing, a consummate musician whose tunes and arrangements are often quite stirring, and always entertaining. Highly recommended. Sounds great. I ordered the LP.